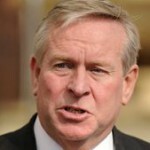 WA Premier offers a mining hand to Africa (0) August 29, 2013 WA Premier Colin Barnett has quashed doubts Australia is threatened by Africa’s rise in the mining industry by proposing to work with the African governments to propel their mining industries. 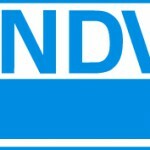 Newcrest de-lists from Toronto Stock Exchange (0) August 29, 2013 Newcrest has announced it de-list from the Toronto Stock Exchange (TSX). 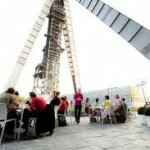 Former coal mine transformed into community hub (0) August 29, 2013 A former coal mine in Belgium has been reborn as a modernist community space, with high schools, movie theatres and hiking tracks taking the place of old mining infrastructure. 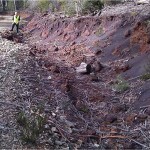 Glencore gets remediation notice over cement spill (0) August 29, 2013 Mining conglomerate Glencore received a notice on Wednesday afternoon to clean up a huge cement spill in a Sugarloaf State Conservation Area in the lower Hunter. 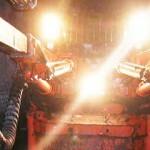 Altra Industrial Motion unveils new backstop for large conveyors (0) August 29, 2013 Altra Industrial Motion has released Stieber Clutch’s new load sharing, compact releasable backstop for large conveyors. Calibre Group win Roy Hill rail contract (0) August 29, 2013 The Calibre Group have won a contract for the detailed design of the 330km heavy haul main line rail for the Roy Hill iron ore mine. S.Africa gold sector pay offer snubbed (0) August 28, 2013 There is no end in sight for wage disputes in South Africa, with the country’s union refusing the final pay hike proposal from the gold mining industry. 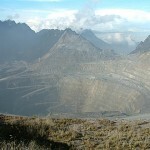 Freeport and Newmont face export ban despite MoU (0) August 28, 2013 Signing memoranda of understanding to supply concentrates to local smelters has not spared US-backed gold miners Freeport Indonesia and Newmont Nusa Tenggarra from next year’s export prohibition. Mining expo hoax (5) August 28, 2013 A country club in the Pilbara has been inundated with calls from people who have paid deposits to attend a mining exhibition that doesn’t exist. 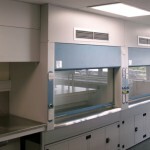 SGS to open new minerals testing facility in Kalgoorlie (0) August 28, 2013 SGS has announced it will open a new minerals and construction materials testing facility in Kalgoorlie later this year. 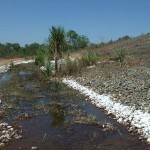 QLD govt told to act over Dee River contamination (0) August 28, 2013 Six Rockhampton councillors went to Gladstone to call on the Queensland state government to take action on water toxicity problems at the Mount Morgan mine and Dee River. 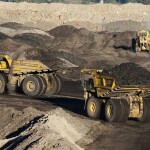 NSW mining amendments splits region (0) August 28, 2013 The NSW government’s changes to regulations on mining proposals have split the mid-western area of state. 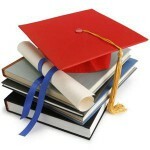 The Fallacy of Prefeasibility Rules and Guidelines (0) August 28, 2013 An insight into the dangers of setting limits on the accuracy of reporting structures and information. The top five mining countries and their GDP (0) August 28, 2013 An infographic examining the top five mining countries globally, who is mining, and what they are digging. 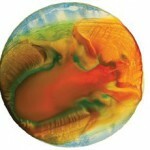 Report examines CSG effects (0) August 28, 2013 A new report has concluded grazing is most suitable to co-exist with coal seam gas and “tight” gas production. 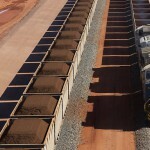 Northline wins Rio Tinto freight contract (0) August 27, 2013 Northline has won a transport contract to move more than 5000 tonnes of freight annually for Rio Tinto’s Weipa bauxite mine. 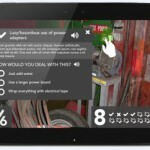 New app to spot underground mine risks (0) August 27, 2013 A new tablet application that has a virtual version of typical hazards found in an underground mining workplace is being developed and tested at Edith Cowan University. 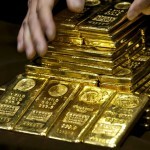 Gold price crosses $1400 (0) August 27, 2013 Gold prices jumped to an 11-week high yesterday, pushing past the $1400 mark for the first time since June 7. 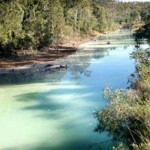 Coal & Allied fined $45,000 for polluted water (0) August 27, 2013 Rio Tinto subsidiary Coal & Allied has been hit with a $45000 fine after six megalitres of polluted water from its Mt Thorley-Warkworth mine flowed into a Hunter River tributary. 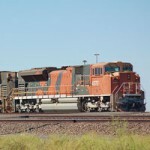 GE enters agreement with Forge to provide electrical distribution solution (0) August 27, 2013 GE’s Industrial Solutions has entered an agreement with Forge Group to provide engineered electrical solutions. Mine rescue teams gather for Illawarra competition (0) August 26, 2013 The 54th Southern Mines Rescue Competition was held in the Illawarra over the weekend, with ‘Appin Pink’ taking out first place in the annual event. Coal water run-off meets rivers to form art (0) August 26, 2013 An artist John Sabraw and environmental engineer Guy Riefler got together to create a piece of artwork from paints concocted from metallic run-off accumulated from polluted rivers in Ohio. 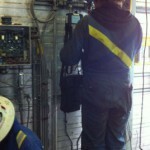 Miner suing Anglo over unsafe work area (0) August 26, 2013 A Queensland man is suing Anglo American for $1.3 million claiming an accident at a Queensland coal mine left him with permanent spine injuries. 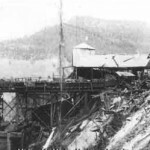 Diesel spill costs zinc miner $70k (0) August 26, 2013 Xstrata subsidiary McArthur River Mining is facing a $70,000 penalty for spilling thousands of litres of diesel two years ago. 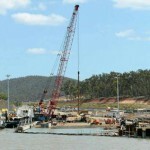 Worker flown to hospital after two injured at Curtis Island (0) August 26, 2013 Two workers have been injured on Curtis Island, with one airlifted to hospital, prompting the CFMEU to question the safety measures being implemented on the Bechtel site. FLSmidth slashes 1100 jobs (1) August 26, 2013 FLSmidth has announced it will cut around seven per cent of its workforce, or 1100 jobs, as it lowers forecasts. PhD student clinches award for new rock flow research (0) August 23, 2013 A University of Queensland alumnus has been awarded a rock mechanics award for discovering many new techniques and methods to better predict rock flow in caving mines. Coal association to dismantle (7) August 23, 2013 The national coal industry lobby will be dismantled, with its members to integrate with the Minerals Council of Australia (MCA). 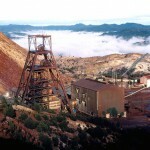 Barrick goes ahead with WA asset sale for $330m (7) August 23, 2013 Canadian gold miner Barrick Gold has sold three of its Western Australian gold mines to South Africa’s Gold Fields for $US300 million ($330 million). 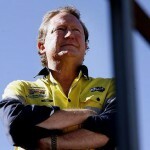 Twiggy to get hefty reward as FMG posts profit jump (0) August 23, 2013 Fortescue Metals Group founder and Chairman Andrew “Twiggy” Forrest will cash in a dividend of more than $102 million after his company’s 2013 profit and dividend surpassed expectations. 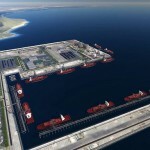 WA Premier said he has ‘failed’ over Woodside’s FLNG decision (0) August 22, 2013 Western Australian Premier Colin Barnett said he has failed the people of his state following Woodside’s decision to develop the Browse Basin through floating LNG technology. 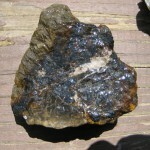 Chinese company eyeing Rio’s Inova Resources for $160m (0) August 22, 2013 Mining giant Rio Tinto’s Mongolian subsidiary has consented to selling its 56 per cent stake in molybdenum and copper company Inova Resources. 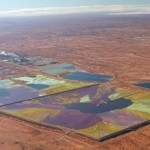 New uranium mine slated for South Australia (0) August 22, 2013 A new uranium mine in South Australia has been given the green light by the state government. 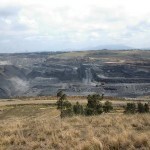 $18 million expansion planned for Wilpinjong coal mine (0) August 22, 2013 Peabody Energy is seeking to expand its Wilpinjong coal mine north-east of Mudgee in order to extract a further three millions tonnes of coal from the open-cut project. 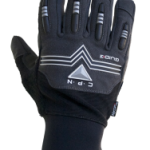 Glove company lends a hand for mines rescue comp (0) August 21, 2013 Hand safety is an important issue for rescue teams, and Performance on Hand has offered all competitors high performance safety gloves for safety during rescue operations. 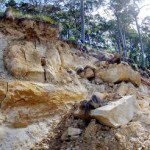 QLD premier to forge ahead with sand mining (0) August 21, 2013 A newly released report has called for sand mining on North Stradbroke in Queensland to be regulated by federal environmental laws instead of state. 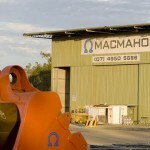 Macmahon posts lower earnings as mining slumps (0) August 21, 2013 Mining contractor Macmahon Holdings posted a net loss of $29.5 million for the year ending June 30, a loss that is bigger than what it forecast. 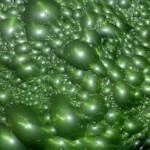 Greens mining tax policy numbers questioned (0) August 21, 2013 The costings of the Greens’ mining tax proposal for the election have been deemed to be able to be priced at “very low” reliability. Women in Mining Day – AIMEX 2013 (0) August 21, 2013 Today is Women in Mining Day at AIMEX, where the industry will celebrate and highlight the integral role women play in the resource sector. 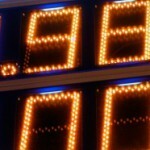 30% drop in BHP profits (0) August 21, 2013 Mining giant BHP Billiton reported a 30 per cent drop in full-year profits, with the company saying it had dodged a bullet on a damaging acquisition due to Canadian politics. 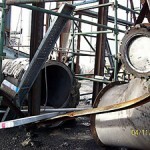 Contractor fined for 2008 explosion at coal mine (0) August 21, 2013 Contractor Carpenter Mine Management has been fined $100 000 over an explosion that left a contractor with severe burns. Sandvik achieves a full year with no lost time injuries in APAC (0) August 20, 2013 Sandvik Mining has achieved a full year with no lost-time injuries for the entire APAC region, including Australasia, Asia, and India. AIMEX: Day one in pictures (0) August 20, 2013 A pictorial of some of the stands at AIMEX on day one. Seminar held to educate on web of CSG laws (0) August 20, 2013 A seminar in Mudgee, New South Wales went though the complex legalities surrounding mining and coal seam gas law on Saturday. Portable accommodation hit by mining slump (0) August 20, 2013 Caravan maker Fleetwood has felt the brunt of the mining downturn with its profit sliding and its shares falling 17 per cent. 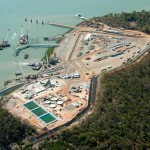 Woodside LNG project approval deemed unlawful (0) August 20, 2013 A West Australian court has declared the state government’s environmental approval of a multi-billion dollar gas hub in the Kimberley as unlawful. 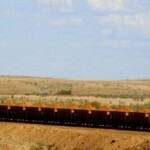 Mining investor sells iron ore stake (0) August 20, 2013 Investment firm BlackRock sold down about $60 million worth of iron ore stocks last Thursday, particularly from Fortescue Metals and Atlas Iron. 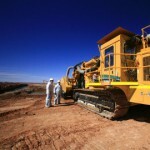 Royalty review met positively by mining industry (0) August 19, 2013 The Western Australian Government’s plan to take a consultative approach to assessing the mining royalty system has been welcomed by the state’s mining industry. 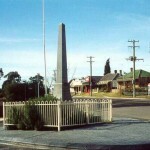 Ex-transport chief supports mining accommodation (0) August 19, 2013 The previous boss of Toll Holdings will finance new mining camps, led by Melbourne’s investment company Lyons Capital. 1000 people at Shree pro-mining rally (0) August 19, 2013 Supporters of the mining industry came out in droves for a pro-mining car rally at Marraswah in Tasmania’s north-west yesterday. 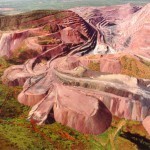 BHP mine sale halted by acid contamination (11) August 19, 2013 Acid contamination could threaten mining giant BHP Billiton’s attempt to sell its old Mount Goldsworthy iron ore mine in the Pilbara to company Nimbus Mines. 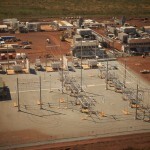 Fortescue’s $1.15bn deal gets Pilbara project up and running (0) August 19, 2013 Fortescue Metals closed a $1.15 billion deal on Friday with Taiwanese steel firm Formosa Plastics which will see its FMG Iron Bridge project get off the ground. 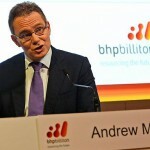 BHP dividend to rise despite profit fall (0) August 19, 2013 Analysts are predicting BHP Billiton will increase its dividend payout at its annual result even as its profit takes a sharp hit. 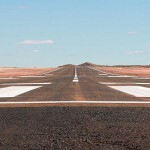 Mining downturn grounds FIFO aviation (2) August 16, 2013 Regional aviation that was boosted by fly-in, fly-out mine workers has slowed down as commodity prices dip. 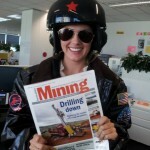 Miner’s death sends shockwaves through the industry (0) August 16, 2013 The identity of a worker killed in action on Wednesday night at Fortescue Metals Group’s Christmas Creek operation in Western Australia has been revealed. 1000 job cuts helps Bradken stay afloat (0) August 16, 2013 Mining equipment manufacturer Bradken cut 1000 jobs to weather the mining downturn and it looks like it has worked. 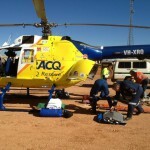 Man airlifted from Queensland mine (0) August 16, 2013 A man has been airlifted from a remote mine site north of Mount Isa suffering chest pains. Unearthing mining history at the Marulan exhibition (0) August 16, 2013 An exhibition will be held in September in Marulan, south west of Sydney, to highlight the history of mining in the town. 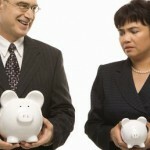 QLD beats NSW on average wages (0) August 16, 2013 Figures show Queensland wages have surpassed NSW, with Queenslanders earning an average $74,027 a year, compared to NSW’s $73,206. 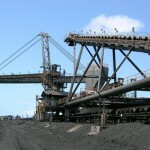 Corrupt licences cost NSW taxpayers $90m: Baird (0) August 16, 2013 New South Wales treasurer, Mike Baird, claims corrupt mining deals have directly cost the state $90 million. 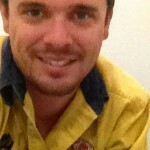 Contractor killed at Fortescue’s Christmas Creek mine (0) August 15, 2013 A worker has been killed overnight at Fortescue Metals Group’s Christmas Creek operation in Western Australia. 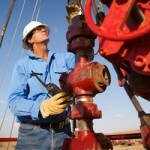 WorleyParsons revenue up, profit down (0) August 15, 2013 Engineering company WorleyParsons said it expects a rise in revenue this financial year even as the tough phase in the mining services sector continues. 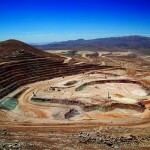 Strike action halts work at world’s largest copper mine (0) August 15, 2013 Fighting for better working conditions and improved pay, workers at Chile’s Escondida copper mine have gone on strike. Fortescue finishes Pilbara port expansion (22) August 15, 2013 Iron ore powerhouse Fortescue Metals Group has boosted its export capacity to 155 million tonnes a year with the completion of its Pilbara port expansion project. 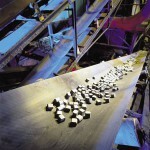 Copper production jump at GlencoreXstrata (0) August 15, 2013 Swiss giant GlencoreXstrata said its copper production spiked 20 per cent in the first half of the year ahead of its first-half earnings, which it will publish next week. 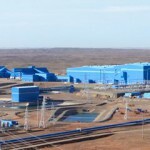 1700 job cuts at Rio’s Oyu Tolgoi (0) August 15, 2013 Rio Tinto’s Oyu Tolgoi mine in Mongolia has axed 1700 workers. 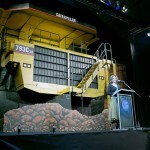 The world’s five largest mining haul trucks (0) August 15, 2013 Mining Australia takes a look at the world’s largest five mining trucks, and the new contender set to hit the scene later this year. 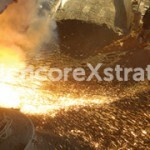 Huge job cuts at a Philippine copper mine (0) August 14, 2013 A $5.9 billion GlencoreXstrata copper mine in the Philippines may lose nearly all of its workers after the mine continues to be deferred due to regulators. Bougainville leader says Chinese copper mine deal invalid (0) August 14, 2013 Bougainville President John Momis said a deal made by a Chinese company with landowners to get access to Rio Tinto’s Panguna copper mine is invalid. Alacer Gold boss steps down (6) August 14, 2013 Ahead of the proposed sale of Alacer Gold’s Australian assets company chief executive David Quinlivan will step down from his position. Australian Mining at AIMEX (0) August 14, 2013 Australian Mining will be at AIMEX next week, and offering you a once in a lifetime chance to win a flight in a jet fighter. 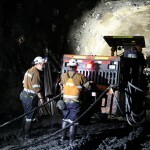 TriAusMin hoping Woodlawn mine will resume (0) August 14, 2013 Australian resource company TriAusMin is hoping to revive copper, lead and zinc mining in Goulburn as gold prices show an upward trend. 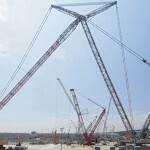 World’s tallest crawler crane in Germany (0) August 13, 2013 Mining manufacturer Liebherr Group says it has constructed the world’s tallest conventional crawler crane, standing at a height of almost 250 metres. 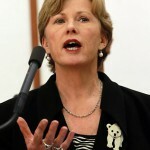 Greens leader attacks mining tax (0) August 13, 2013 Greens leader Christine Milne has attacked Prime Minister Kevin Rudd and opposition leader Tony Abbott of failing to be firm and assertive to miners. 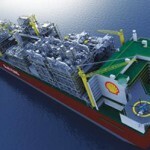 Shell talk up benefits of FLNG (0) August 13, 2013 Shell say their Prelude floating LNG project is recruiting on an Australian-first principal, and expect to employ around 1000 people. NSW’s new mining rules face protest (0) August 13, 2013 The NSW Government’s planned new mining project rules is facing opposition from activists, farmers and residents, who are protesting in Sydney today. 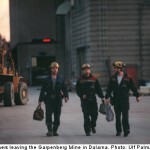 Four miners rescued from burning Swedish mine (0) August 13, 2013 A total of 30 miners were on shift underground when a fire broke out at the Garpenberg mine in Dalarna, central Sweden on Sunday night. Rio announces new diamond managing director (839) August 13, 2013 From September 1, Jean-Marc Lieberherr will take over the managing director’s position and will be responsible for all aspects of the diamonds business. 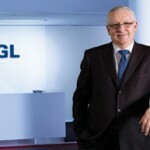 UGL cuts dividend as profits falls (0) August 13, 2013 A fall in profit has led engineering firm UGL to cut its final dividend by more than 80 per cent due to the mining slump. 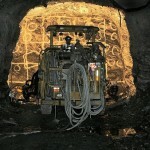 NZ gold miner calls for hard rock health and safety regulations (0) August 13, 2013 In the aftermath of New Zealand’s 2010 Pike River coal mine tragedy which killed 29 men, the government is reviewing its mining safety regulations. 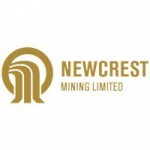 Newcrest reports record loss (6) August 13, 2013 Newcrest Mining on Monday reported its first annual loss in 11 years as well as the biggest annual loss in its history, after an $AU6.23 billion write-down. Locked-out energy workers plan rally (0) August 12, 2013 A group of operators who have been locked of Yallourn Power Station since June will rally outside of Energy Australia’s headquarters in Melbourne on Friday. CFMEU upbeat on Hunter mining (0) August 12, 2013 The mining union is optimistic about the Hunter’s job prospects in the mining industry even as the Reserve Bank’s released a grim quarterly statement on monetary policy. 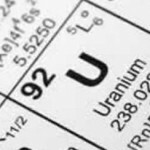 Toro Energy buy another uranium play in Western Australia (0) August 12, 2013 Toro Energy, the company vying to develop Western Australia’s first uranium mine, have purchased another uranium project just 90km away, signalling the opportunity for expansion. 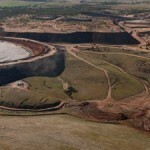 Rio will not sell its aluminium asset (7) August 12, 2013 Mining giant Rio Tinto will not sell its underperforming Pacific Aluminium, its Australasian aluminium assets amid the mining slowdown. 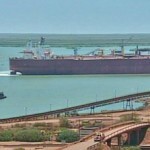 Stable iron ore prices defy investor expectation (0) August 12, 2013 Iron ore investors are on edge as they prepare for iron ore prices to start dropping at this time of the year. 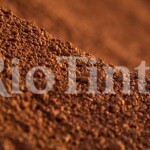 Rio signs MoU to boost Indigenous economic independence (98) August 12, 2013 Rio Tinto’s Gove Operations and the Gumatj Aboriginal Corporation have signed a memorandum of understanding to complete a feasibility study for bauxite mining on Gumatj lands in the Northern Territory. 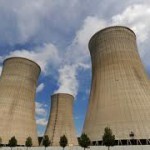 14 dead in India coal mine collapse (3) August 12, 2013 Fourteen people have died in an open cast coal site collapse in the east coast of India. Three month delay on Abbot Point expansion decision (0) August 12, 2013 The decision to expand Abbot Point Coal terminal has again been delayed as Environment Minister Mark Butler assess the impacts of dredging around the area. 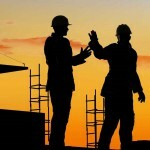 UGL to demerge, create two new companies (0) August 12, 2013 UGL have announced it will demerge to create two separate companies, a property services business and an engineering, construction, and maintenance firm. 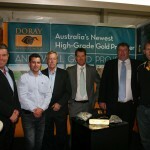 Doray pours first gold (0) August 12, 2013 Western Australian junior Doray Minerals has this week officially evolved from an explorer to a producer, completing its first gold pour. 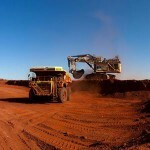 WA delivers budget amid mining slump (0) August 9, 2013 Western Australia delivered its first budget post the downturn in the mining sector yesterday with a $239 million surplus for the year ending June 30. 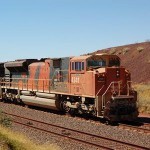 MMG warn of extra trucks as mine trial begins (0) August 9, 2013 MMG will start a full-scale trial at its zinc mine in Queensland, warning residents near Cloncurry to expect increased traffic in the area. 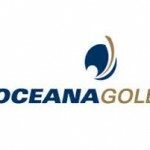 Dropping gold price stings NZ mine (0) August 9, 2013 OceanaGold’s New Zealand Reefton operations are not viable at a gold price under $NZ2000 an ounce, the company has revealed. 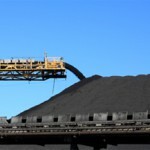 Clive Palmer’s $6.4 billion coal mine project approved (0) August 9, 2013 Clive Palmer’s $6.4 billion coal and rail project in Queensland’s Galilee Basin has been approved by the state government. 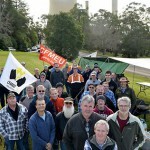 Rally planned at PWCS as strike action continues (0) August 9, 2013 The long running industrial dispute at the Port of Newcastle is set to continue as coal terminal workers walk off the job again today. Coal apprenticeships on offer (7) August 9, 2013 Illawarra Training Group are recruiting for apprenticeships with BHP Billiton subsidiary Illawarra Coal. 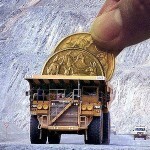 Infrastructure the answer to the fading mining boom? 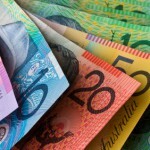 (0) August 9, 2013 As Australia comes down from the peak of its mining boom, a new report warns the country has to invest in infrastructure to keep the economy going. 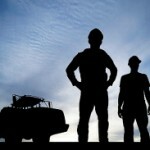 Jobless rates up as mining slumps (0) August 9, 2013 July employment figures showed the jobless rate is at a four-year high, as the country lost 10,200 jobs. 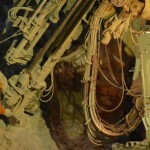 China wants to send more workers to build mines (0) August 9, 2013 The China Mining Association has called on the Australian government to let more Chinese workers into the country in order to fast-track the construction of mining projects. Sheffield Resources wins Best Emerging Company award (0) August 8, 2013 Sheffield Resources has won the Best Emerging Company award at the Diggers & Dealers’s annual gala dinner. Arrow Energy using Lego at Ekka to explain CSG (0) August 8, 2013 Arrow Energy will use this year’s Ekka to show future engineers how its coal seam gas operations run. 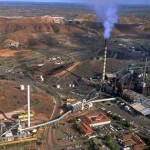 University of Newcastle wins $290,000 for carbon capture research (0) August 8, 2013 A University of Newcastle research team will continue their work around carbon capture and storage technologies after winning a $290,000 grant. 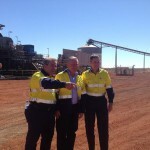 Forrest stands his ground after losing mining tax challenge (0) August 8, 2013 Fortescue Metals Group chairman Andrew “Twiggy” Forrest yesterday expressed disappointment over the High Court‘s unanimous decision to dismiss claims the mining tax is unconstitutional. 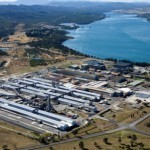 Tiwai Pt aluminium smelter gets $30m govt boost (1) August 8, 2013 The New Zealand government has paid $30 million in subsidy to sustain Rio Tinto’s Tiwai Point aluminium smelter in Southland. 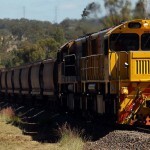 FIFO report ‘gathering dust’ (1200) August 8, 2013 Six months on from the FIFO inquiry, two Queensland MPs have slammed the Labor Government for failing to implement any of the report’s 21 recommendations. 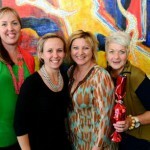 QLD small businesses feel mining downturn (0) August 8, 2013 The mining slump is having a domino effect across different sectors in the country, with Central Queensland small businesses the latest target. Plan to re-enter Pike River before Solid Energy board (0) August 8, 2013 A plan to re-enter the devastated Pike River mine has been completed by its new owners, Solid Energy. 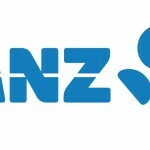 NSW to soldier on despite mining slump (0) August 8, 2013 One of the big four banks has a positive outlook for the NSW economy and expects it to bolster Australia’s economy during its difficult transition from the mining boom. RungePincockMinarco enters into Mongolian mining software agreement (0) August 8, 2013 Australian mining software firm RungePincockMinarco has entered into a distribution agreement that will open up Mongolia to the company. 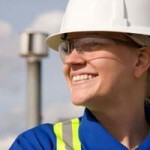 Orica to start remediation at Botany (0) August 7, 2013 Remediation works will begin at Orica’s Botany plant this month after the company received approval from the Environment Protection Authority. 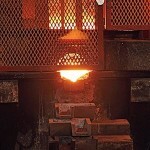 Gold miner announces production reduction (0) August 7, 2013 Gold mining company Mintails has announced a reduction in production after two consecutive gold pours were below expectations. 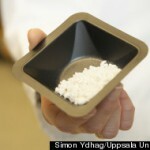 Swedish scientists create ‘impossible’ material (0) August 7, 2013 Scientists from Sweden’s Uppsala University have created a new form of magnesium carbonate, calling it an ‘impossible’ material. 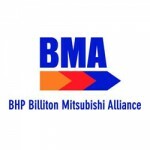 BHP lose court battle over sacked CFMEU members (0) August 7, 2013 BHP has lost a court battle against the CFMEU over the sacking of two union members at Peak Downs mine. 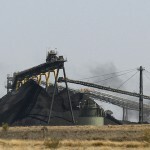 High Court throws out mining tax challenge (0) August 7, 2013 Fortescue’s Andrew Forrest has lost his High Court challenge against the mining tax. Man charged for mining detonator explosion (0) August 7, 2013 A man who was in a critical state after a mining detonator exploded in a Queensland forest has been charged for possession of drugs and weapons. 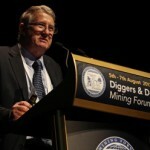 Gold price tipped to improve but market not following suit (0) August 7, 2013 The World Gold Council has told the Diggers and Dealers mining conference that gold prices will improve over the long term due to strong demand from China and India. Rough road ahead for Downer EDI (0) August 7, 2013 Contractor Downer EDI indicated it will lose as much as $650 million in revenue in its mine services sector in the wake of the downturn in the mining industry. Illegal Chinese miners held in the Philippines (0) August 7, 2013 Eighteen Chinese men have been captured in the Philippines after they were believed to be involved in illegal black sand mining. 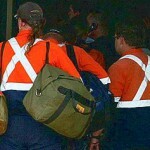 Male miners’ mental health claims overblown: research (0) August 6, 2013 New research has shown there is no solid data to indicate males in the mining industry experience more mental health issues compared to males in other industries. 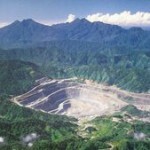 Emeco uneasy after Mt Muro put in maintenance (0) August 6, 2013 Mining equipment supplier Emeco Holdings announced its Indonesian division will be in loss making following Straits Resources’ revelation it is placing its Mount Muro mine into care and maintenance. Redpath celebrates one year LTI free (0) August 6, 2013 Mining contractor Redpath has announced its Coal Division project team has achieved one year lost time injury free (LTI) as of May 22 this year. 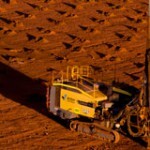 Fortescue awards $1bn in contracts to Indigenous companies (25) August 6, 2013 Fortescue has reached its set target of awarding more than $1 billion in contracts to Indigenous businesses by the end of 2013. 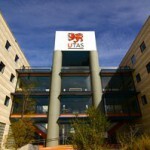 Mineral research lab extension at TAS uni (0) August 6, 2013 Newcrest Mining has teamed with the University of Tasmania (UTAS) to build a $3 million extension to a minerals research laboratory. 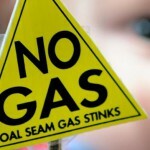 CSG company slammed over a letter sent to north coast schools (0) August 6, 2013 Oil and gas company Metgasco have been slammed for a letter sent to schools in NSW offering to send its staff members in to talk to students. 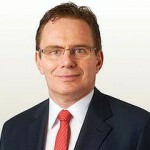 Former BHP chief joins Orica board (0) August 6, 2013 Former BHP head of aluminium, nickel, and corporate development, Alberto Calderon, has joined Orica as a non-executive director. 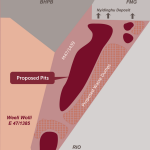 Second TAS mine approved in a week (0) August 6, 2013 Venture Minerals received approval for its Tarkine mine in Tasmania from Environment Minister Mark Butler, less than a week after he approved Shree Minerals’ iron ore mine. 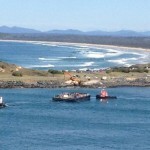 Choppy seas prevent mining equipment move (0) August 5, 2013 Rough seas in Coffs Harbour prevented the move of mining equipment to Western Australia last weekend. 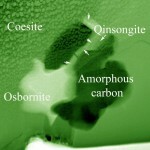 Geologists uncover new mineral (5) August 5, 2013 Geologists at the University of California, Riverside have discovered a new mineral, which they have named qingsongite. Mt Muro mine to be put on care and maintenance, divested (0) August 5, 2013 Straits Resources is placing its Mt Muro mine into care and maintenance. 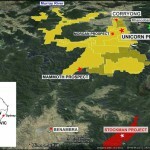 Dart Mining commits to hiring locals (0) August 5, 2013 Residents in the small Victorian town of Corryong have been told more than 185 jobs will be on offer if Dart Mining’s Mount Unicorn project goes ahead. 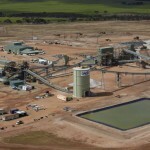 Sandfire Resources officially opens DeGrussa mine (0) August 5, 2013 Sandfire Resources has officially opened its DeGrussa copper mine in Western Australia. 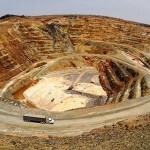 Barrick could sell Plutonic gold mine (0) August 5, 2013 Barrick Gold has indicated it might sell its Plutonic mine in Western Australia as well as its three Yilgarn mines, which went up for sale earlier this year. 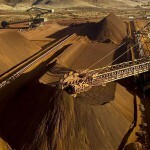 Fortescue to front insolvent trading claims (0) August 5, 2013 Andrew “Twiggy” Forrest’s Fortescue Minerals Group is facing claims it traded during insolvency during last year’s iron ore decline, resulting in lapse of a contract worth more than $8 million. 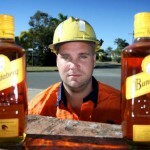 Rum on offer for mining job (0) August 5, 2013 An unemployed Rockhampton man is promising a six-month supply of Bundaberg Rum to anyone who can find him work in the mining sector. 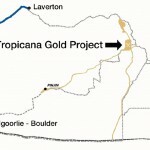 Tropicana project ramps up, expects first gold this year (0) August 5, 2013 AngloGold Ashanti and Independence have begun the commissioning stage of the highly prospective Tropicana gold project, and expect first gold next month. 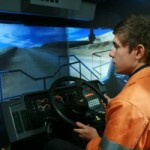 Joy Global sets up new remote access facility at University of Wollongong (0) August 5, 2013 Mining machinery manufacturer Joy Global has officially opened its first Australian remote access facility at the University of Wollongong’s innovation campus. 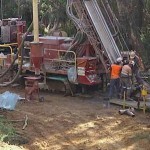 Miner charged $150k for sacred site damage (0) August 2, 2013 Mining junior OM Manganese has apologised after a judge handed down a $150,000 penalty in a case of desecrating a sacred Aboriginal site. 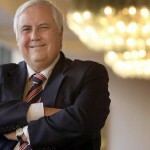 Take a breather, Palmer tells CSG sector (0) August 2, 2013 Mining magnate Clive Palmer came out with a statement saying Australia’s coal seam gas industry should slow down until more research is done on its impact. 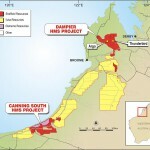 Junior miner gets project approval in Pilbara (0) August 2, 2013 Pilbara iron ore junior Iron Ore Holdings has been given the go-ahead for its Iron Valley Project mining proposal. Mining M&A activity down in 2013 (0) August 2, 2013 The first half of 2013 has seen a lower level of mergers and acquisitions according to an Ernest & Young report. 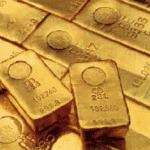 Gold takes its latest casualty, miners slash asset values (0) August 1, 2013 A struggling gold price has taken yet another casualty, this time its Alacer Gold which says it cannot guarantee the future of its mines beyond the middle of 2014. 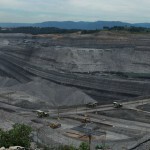 No deal for BMA’s Gregory Crinum coal complex (0) August 1, 2013 BHP Billiton has called off the sale of its Gregory Crinum coal complex after it couldn’t secure a buyer for the closed mine. 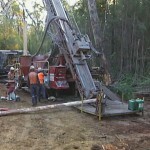 Shree to start iron ore work within days (0) August 1, 2013 Shree Minerals could start its $20 million iron-ore mine in the Tarkine in the next few days after new Federal Environment Minister Mark Butler re-approved the project. Queensland gold miners lose jobs (0) August 1, 2013 Twenty two workers at Evolution Mining’s Mt Rawdon gold mine have lost their jobs, with a slowdown in the mining process being blamed for the cuts. Job cuts at Kalgoorlie’s Super Pit (0) July 31, 2013 The company which operates the Kalgoorlie-Boulder Super Pit has announced a raft of job cuts at the gold mine, blaming poor market conditions for the move. 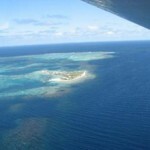 Murphy Oil seeks approval to drill near Abrolhos Islands (0) July 31, 2013 Murphy Oil has submitted documents seeking federal approval to drill an exploration well 30km from the Batavia shipwreck near the Abrolhos Islands off Western Australia. 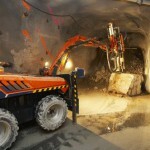 Barminco awarded Mount Lyell mine contract (0) July 31, 2013 Underground hard rock mining contractor Barminco has won a three year development and production mining contract at the Mount Lyell copper, gold and silver mine in Tasmania. 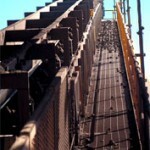 $1 million worth of mining equipment stolen (0) July 31, 2013 More than $1 million worth of mining equipment has reportedly been stolen from a storage facility in Rutherford, NSW. 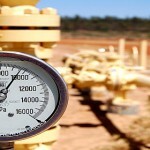 Chief scientist says misinformation is fuelling many CSG concerns (0) July 31, 2013 The New South Wales government and gas industry face significant challenges if they continue to forge ahead expanding the state’s gas production capabilities. 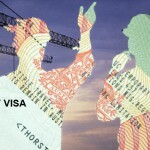 Setback for $1 million Mount Isa lead poisoning claim (0) July 31, 2013 Mount Isa mum Sharlene Body’s compensation case against mining giant Xstrata has had a setback after the Supreme Court decided to strike out pleadings from her lawyers. 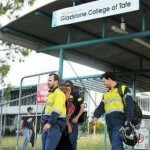 New Gladstone training centre to help locals skill-up for LNG boom (0) July 31, 2013 A new $21 million energy training centre in Gladstone is set to provide opportunities for locals to break into the region’s LNG job market. Rum Jungle mine gets rehabilitation funding (0) July 30, 2013 The Australian Government announced a $14.5 million funding allocation for rehabilitation of the former Rum Jungle mine in Northern Territory. 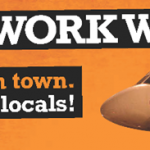 Billboards target big miners’ 100% FIFO workforce (0) July 30, 2013 Two major billboards demanding an end to the use of 100% FIFO workforces in the Bowen Basin have been erected on highways around Mackay. Greens’ hearing against Tarkine mine begins (0) July 30, 2013 A hearing for Greens group Save the Tarkine’s legal bid against Riley Creek mine has started in Hobart. 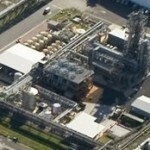 Suspected sabotage not stopping LNG work: Bechtel (0) July 30, 2013 Bechtel said a case of suspected sabotage on the QCLNG site has not delayed the construction of three LNG plants on Curtis Island. 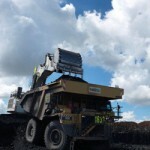 Emeco CEO stepping down (0) July 30, 2013 Mining equipment hire and rental company Emeco has announced its managing director and CEO Keith Gordon will step down from his role later this year. Gas and oil sector launch ad blitz for better policies (0) July 30, 2013 The gas and oil industry have launched an advertising blitz and are calling on the public to sign a petition to lobby the government for better policies. 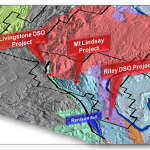 Major capital raising for Galaxy resources (0) July 30, 2013 Embattled lithium miner Galaxy Resources has raised the $12 million needed to close its capital funding push after shareholders pitched in with a $5 million lifeline. 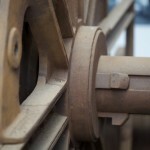 NSW government proposes mine approvals overhaul (0) July 30, 2013 The New South Wales government is proposing changes to regulations governing mining proposals. 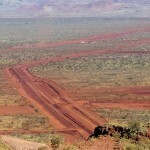 FMG to build Pilbara gas pipeline (0) July 30, 2013 Fortescue Metals Group are planning on cutting operational costs in the Pilbara by building a gas pipeline to link its Solomon and Chichester iron ore mines. 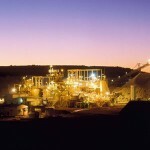 OZ Minerals flags profit hit (0) July 30, 2013 Prominent Hill mine owner Oz Minerals has announced it anticipates a first half profit hit in the range of $200 million to $240 million after tax. 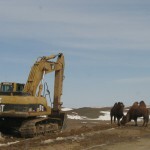 Rio’s Oyu Tolgoi hits another snag (0) July 30, 2013 Rio Tinto’s Oyu Tolgoi copper mine venture in Mongolia is in trouble again with the underground development facing further delays. 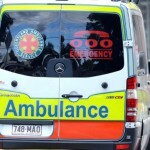 Man in hospital after mining detonator explodes (0) July 29, 2013 A man, 41, is in a critical state in hospital after a mining detonator explosion early Saturday morning in a forest between Queensland’s Inglewood and Millmerran on Friday night. 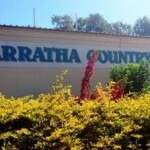 Waratah couple refused mine subsidence claim (0) July 29, 2013 An elderly couple in Waratah, NSW has been demanding compensation from the Mine Subsidence Board for more than 30 years after water flooded their property. 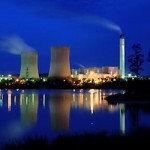 Australia’s nuclear future analysed at industry conference (0) July 29, 2013 A nuclear energy conference has heard Australia needs to start having a serious discussion around the implementation of the technology. 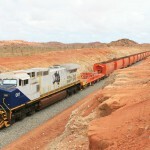 Small steps for WA rail plan, says Aurizon (0) July 29, 2013 Iron ore producer Atlas Iron has welcomed a new railway in Western Australia’s iron ore Pilbara region, calling it a “fantastic solution”. 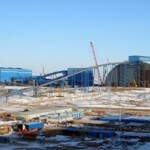 Austerity on Anglo American’s agenda (0) July 29, 2013 Anglo American is the latest miner to flag austerity measures with chief executive Mark Cutifani looking to add $US3.5 billion of value to the company by 2016. Australia’s worst mine disaster remembered (0) July 29, 2013 Hundreds of Illawarra residents gathered at Mount Kembla at the weekend to remember the 96 men and boys who died in the nation’s biggest mining disaster. 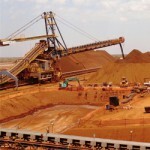 Mining giants could loosen iron ore supply grip (0) July 29, 2013 A new report from Europe reveals stabilising global freight costs could end Rio Tinto and BHP Billiton’s dominance over supply of iron ore to the Asian markets. 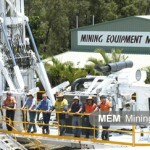 100 jobs lost and more to come as mining services wind down (0) July 29, 2013 Another mining service company has been hit by the downturn with 100 jobs slashed at Mining Equipment Maintenance in Central Queensland. 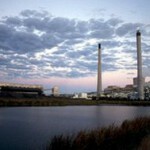 Carbon capture trial a success: CSIRO (0) July 29, 2013 CSIRO scientists trialling carbon emission capture technology at a Southern Queensland power station say the operation has been successful. 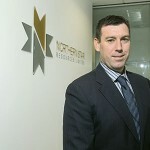 Rio offloads Northparkes mine in an $US820m deal (5) July 29, 2013 Rio Tinto has sold its 80 per cent stake in the Northparkes copper mine to China Molybdenum for $US820 million ($AUD892.37 million). 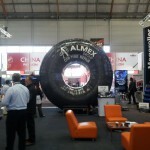 Kalgoorlie ramping up for Diggers and Dealers (0) July 29, 2013 Organisers of this year’s Diggers and Dealers mining event are gearing up for an influx of about 1,800 mining executives and financiers. 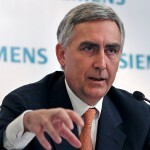 Siemens CEO forced out (0) July 29, 2013 The global CEO of Siemens has been let go after the company experienced poor results. 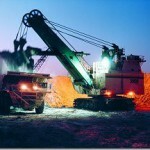 Weak mining sector makes Caterpillar cut 2013 profit forecast (0) July 27, 2013 Caterpillar, the world’s largest maker of mining and construction equipment, has cut its 2013 profit forecast. 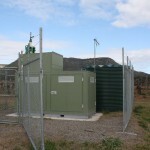 Drill compressor management system cuts fuel consumption at coal mine (0) July 27, 2013 As the cost of mining rises and jobs are cut across the board, every mine is looking to save money. Mining women support group (1) July 26, 2013 The Mining Women Support Group have been meeting in Yeppoon every week for 12 months, with members saying the friendships formed will last a lifetime. 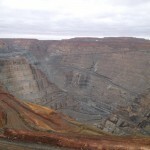 Hillgrove to cancel mining contract at Kanmantoo (0) July 26, 2013 Hillgrove Resources is finalising an agreement with Exact Mining Services to terminate the work at its Kanmantoo copper mine.